The other day, I was listening to a popular radio program where the host gives financial advice. A caller to this program was seeking answers to questions about his retirement accounts. Up to that point, the program was just so much background noise during my 45 minute commute, but when the caller mentioned that he was an airline pilot, my ears went up! Here this gentleman was 58 years old (same age as me), was debt free with an annual income north of $300,000 and had a net worth of four million dollars. That’s right, he said million, as in millionaire! Not so long ago, I recall entry-level airline pilots were doing very well if they made $20,000 in their first year. Not so these days! In my 16-plus years in the aviation business, training pilots for a career in the airlines, I have never seen opportunities like what now exists! 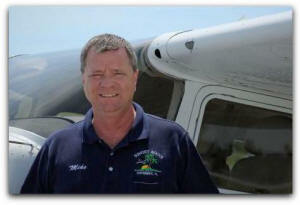 Now a first-year first officer with an established regional airline can make some serious bank! Like $45 per hour kind of bank! Not only that, signing bonuses approaching $20,000 are becoming the norm, making a way for newly minted airline pros to make a major payment on that student loan. Promotions to captain in as little as 15 months are not unheard of either! If you are a high-school or college-age wondering what to do with your life and needing some education and career direction, you should certainly give becoming a professional pilot some serious thought. Now money isn’t everything, and I don’t care how much money you make, you really need to have a passion for what you are doing. But for Pete’s-sake, earning a six-figure income 3 years out of college certainly can make this career option a much more attractive choice! So if this is something that seems appealing to you, give me a call or shoot me an email at fly@sunstateaviation.com and let’s talk! The opportunities have never been better!